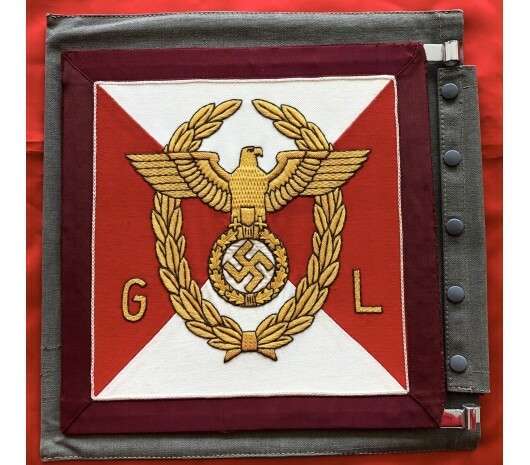 Gauleiter Vehicle Pennant. 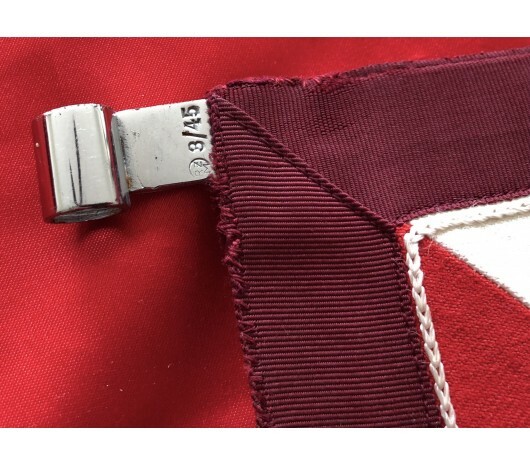 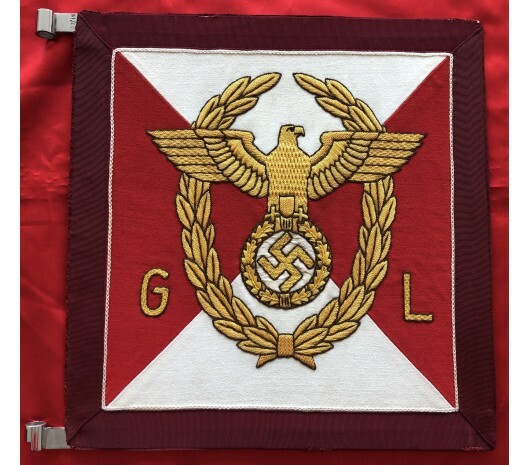 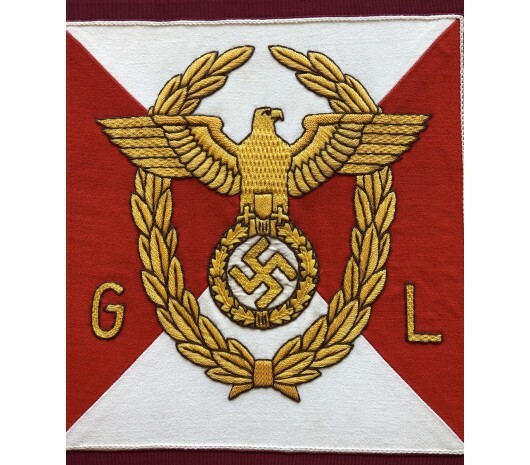 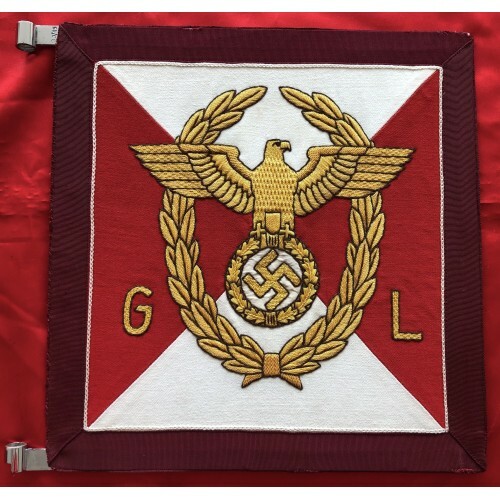 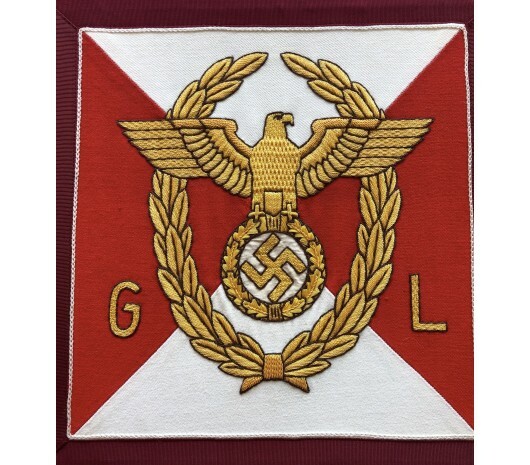 Post 1939 pattern Gauleiter pennant with later style block "GL", rather than the earlier gothic script. 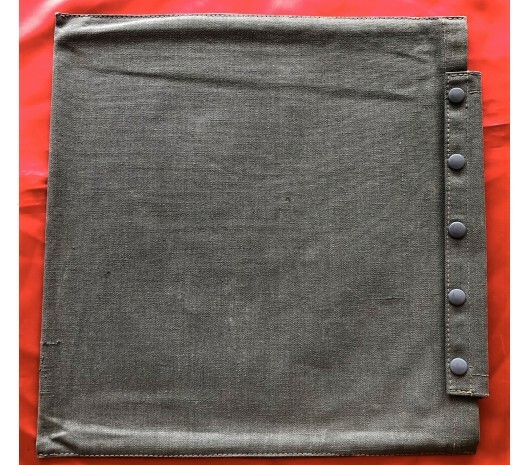 Metal frame RZM marked "3/45". 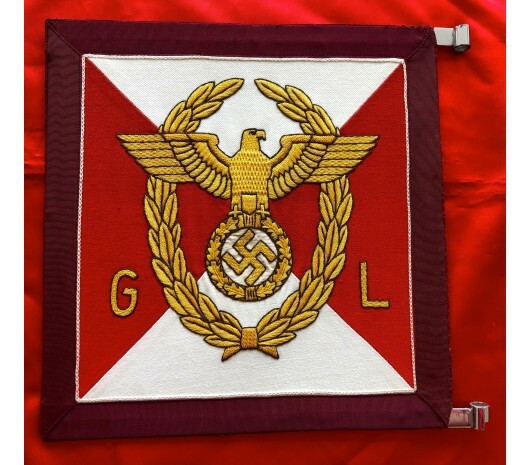 The condition and embroidery work is stunning on this one; great condition. 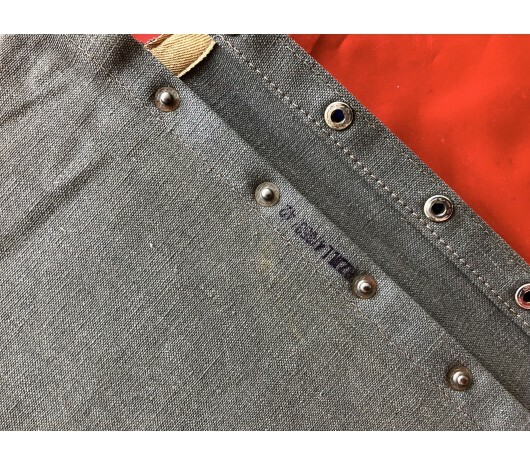 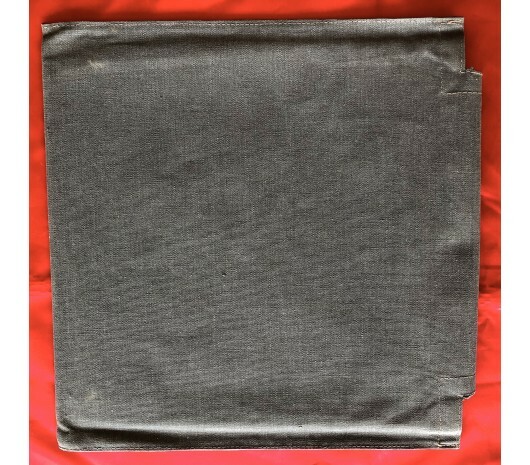 Comes with original storage bag, also RZM marked.